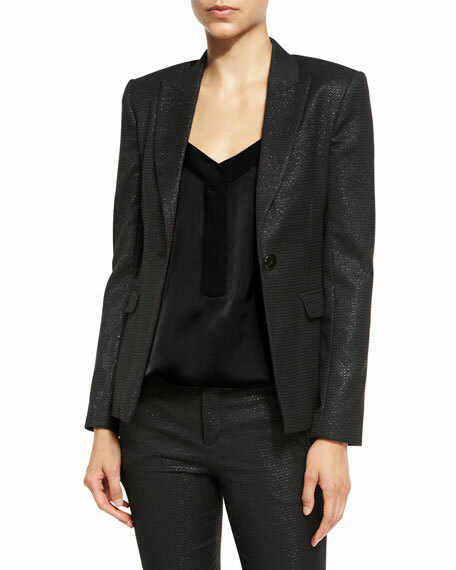 ATM Anthony Thomas Melillo metallic schoolboy jacket in stretch crepe. Princess seams through front and back. 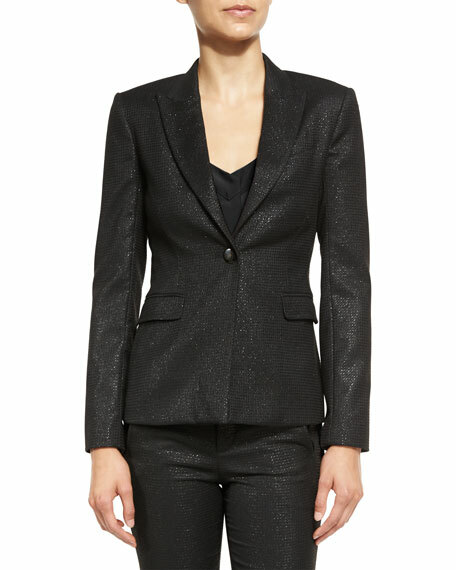 For in-store inquiries, use sku #1940547.